Our Toddler Room uses hands on experiences to create a stimulating environment for your toddler to become more involved in the world around them. 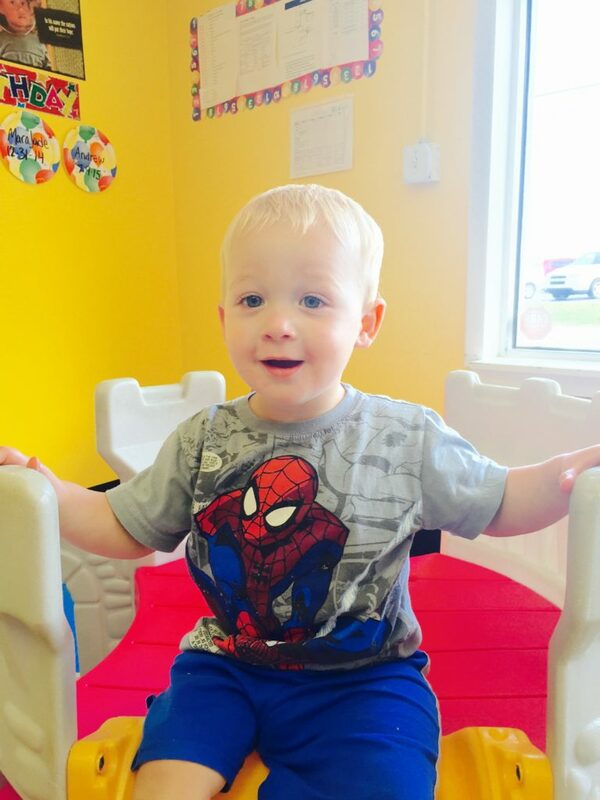 Each professional guides your toddler to self-confidence, becoming more independent in daily activities, and introducing the basic educational concepts to prepare for preschool. Your tinkering toddler will receive daily lessons from our Christian-based curriculum. Get acquainted with several Bible stories, poems, songs, and books. They will show excitement when recognized. If you would like to enroll, schedule a tour or just would like more information about Toddler Care, fill out the entries below. Thank You.